New design provisions for tsunami loads and effects have been developed by the ASCE 7 Tsunami Loads and Effects Subcommittee (TLESC), and are included in the just-released 2016 edition of the internationally recognized loading standard ASCE 7, Minimum Design Loads and Associated Criteria for Buildings and Other Structures (ASCE/SEI 7-16). This resource and accompanying data was developed over a 34-month period by a subcommittee of almost 30 members, along with the contributions and review of numerous other state, national, and international stakeholders. 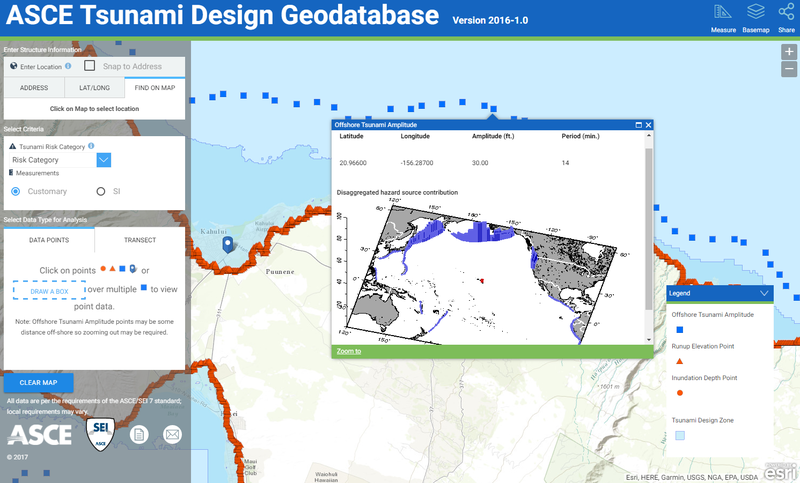 To provide the authoritative distribution of this tsunami design information, Blue Raster and the Structural Engineering Institute of ASCE have created the ASCE Tsunami Design Geodatabase application. 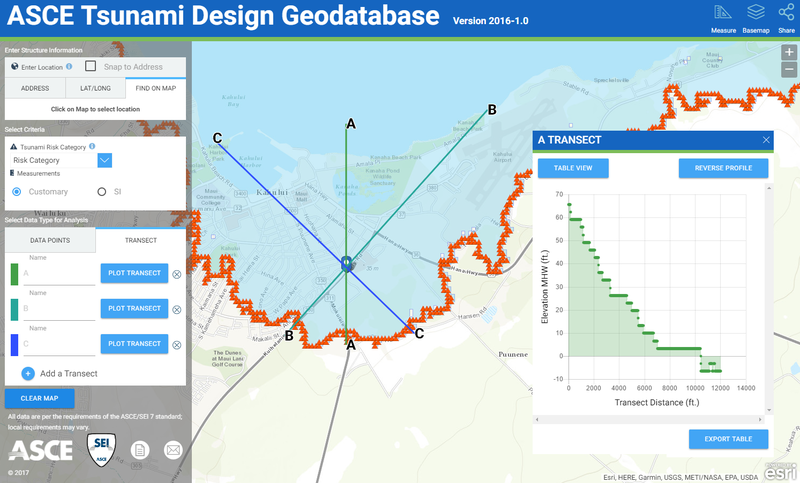 The ASCE Tsunami Design Geodatabase application provides insight into the first national, consensus-based standard for tsunami resilience for use in the states of Alaska, Washington, Oregon, California, and Hawaii. Structural engineers are already being asked to incorporate tsunami-resilient designs in various critical building and facility structures in the five western states, The profession and the affected communities now have a comprehensive consensus on loading and design standards for buildings and other structures. The new tsunami design zone maps define the coastal zones where structures of specified risk would be designed for tsunami resistance. Easy access to this data through the ASCE Tsunami Design Geodatabase application is imperative for the resiliency of our coastal infrastructure.